The eco-design of packaging is an approach that is characterized by the integration of environmental criteria at the design phase, with the aim of reducing environmental impacts throughout the life cycle, while maintaining identical fonctionnalities. 75% of elipso members are already involved in an eco-design approach: weight reduction, carbon footprint, purchase of environmental assessment software, life cycle analyses, training, developement of reusable packaging, etc. Life Cycle Assessment (LCA) is a decision supporting tool that enables manufacturers to manage their eco-design process based on knowledge of environmental impacts as soon as they make their design choices. To support the development and dissemination of the LCA method in its sector and participate in improving environmental knowledge on plastic and flexible packaging, ELIPSO provides its members with an LCA tool adapted to the plastic and flexible packaging sector: e-DEA eliPack. e-DEA* eliPack is a LCA software, developed in 2013 by ELIPSO and Evea, adapted to the plastic and flexible packaging sector. Most lcas on plastic and flexible packaging highlight the influence of raw materials in the environmental balance. The first area of eco-design of packaging therefore concerns the weight reduction of packaging and the choice of materials. The second area of eco-design varies according to packaging: recovery at the end of life, transport of packaging and manufacturing processes. Thus, the use of LCAs makes it possible to act at the most appropriate level to reduce the environmental impact of packaging on the environment. 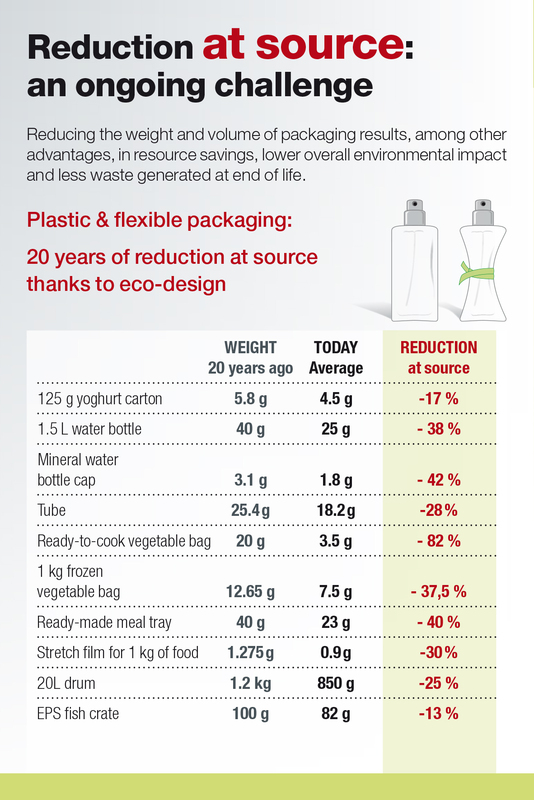 Reducing the weight of packaging significantly reduces environmental impacts as it reduces the quantities of raw materials used, of packaged products to be transported and of waste to be eliminated. ELIPSO is committed to improving the recyclability of plastic packaging through its participation in COTREP. Created in 2001 by Citeo, Valorplast and ELIPSO, COTREP (Comité Technique pour le Recyclage des Emballages Plastiques) continues its work on bottles and flasks and is working at the same time on extending its scope of action to all household plastic and flexible packaging. COTREP proposes to the actors to study the recyclability of their plastic packaging under development before lauching them on the market while taking into account the organization of existing recycling schemes and processes. 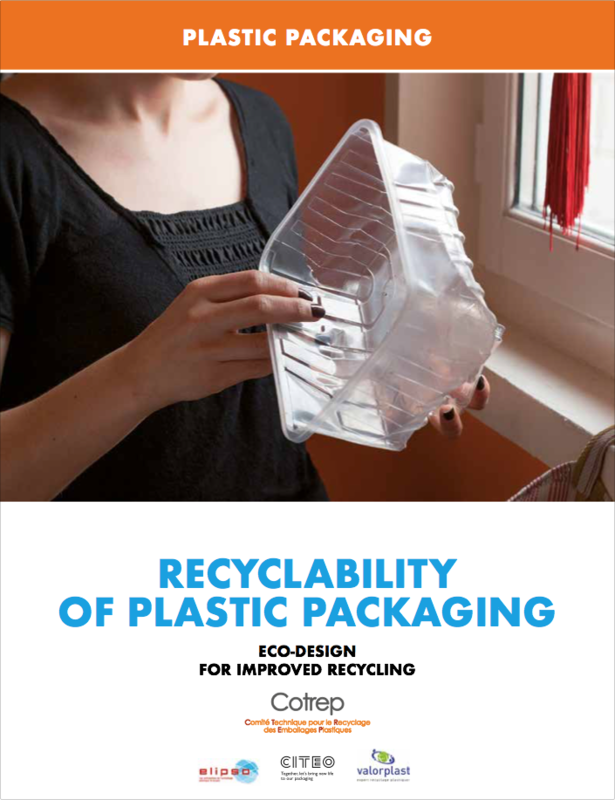 COTREP has also just published its first guide “Recyclability of plastic packaging”. Composed of 5 illustrated and schematic parts, this guide is a precious help for the eco-design of plastic packaging. ELIPSO is also a member of CEREC (Comité pour l’Étude de la Recyclabilité des Emballages ménagers papier-Carton): this body aims to evaluate the recyclability of household packaging composed mainly (by weight) of paper or cardboard (technical advice, general advice, studies on disruptive elements). ELIPSO represents its concerned members in the flexible packaging sector.